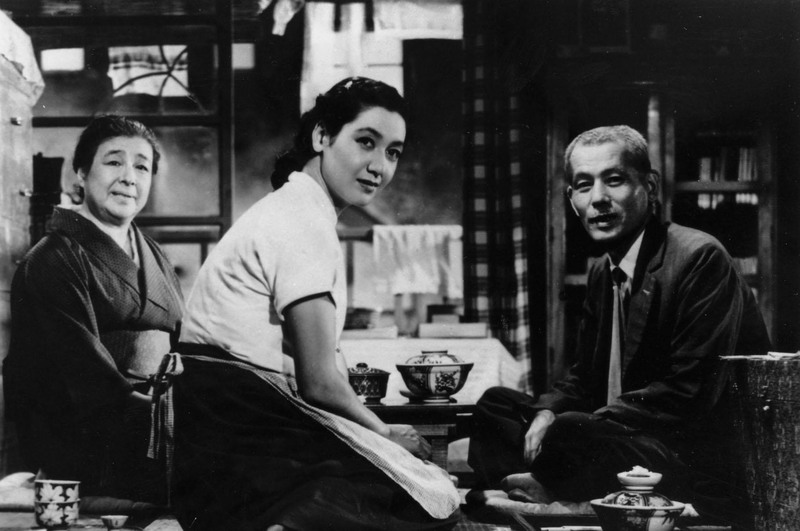 Tokyo Story is so basic in its premise, if it was pitched as a recommendation, one might find it hard to believe such a film exists. The truth is, Yasujirō Ozu’s masterpiece is a technical marvel; a film so tightly structured, so deliberate in its planning and composition that its story gains its resonance from technical structure. Ozu’s visual strategy is so rudimentary, one may mistake his cinematic approach as that of techniques taught in a high school filmmaking class. The film is so far removed from the visual storytelling methods of Western cinema, it undoubtedly proves that a film broken down to its core elements is far more profound than films disguised in esoteric ambiguity. It is a film for cinephiles, film aficionados, film students, what-have-you; it most certainly is not a film for the average cinemagoer; someone who prefers content to form. Yasujirō Ozu has a unique, personal sense of style but is hardly a flashy filmmaker. It is a style built upon knowledge of still frames rather than moving pictures. All movement comes from within the frame instead of movement provoked by camera movement. The camera moves so little in fact, that the film’s single dolly shot becomes a standout, and his composition is such that it is as if he believes film cameras cannot capture motion. It is incontrivertible that every frame is a story within itself, but Ozu’s style is so deliberate, one cannot help but feel it all comes with a touch of irony. The incredibly slow pace of the film and simplicity in its plot implies a sense of reservedness in Ozu; almost as if he is wanting us merely to observe, although it becomes hard to stay impartial. As the camera gazes directly into the eyes of its characters, we are placed directly in the middle of a conversation. It is confronting and unexpected, as the traditional over-the-shoulder technique is forgone for direct human interaction. At its core, it is storytelling and filmmaking at its absolute simplest, which is why it makes for such a technical masterpiece. Ozu also has an incredible grasp of sound, especially in constructing moments of complete silence. There is no overlapping dialogue, even when characters interrupt each other, and each change in angle generates a moment’s silence before anyone begins speaking. It is an element rarely seen in Western cinema, an element which provides an almost deliberate sense of withholding. Ozu has an astute, humanistic approach, removing what may now be considered fundamentals of great cinema, such as the perfect camera movement or snappy editing, instead touching us with raw, impassioned humanity. Ozu drops filmmaking’s mechanical elements, and we feel more connected with these characters. It is easy to forget to address such a simple story when it is so perfect in its form. It is a premise so elementary, yet a theme so powerful. It is the story of an elderly couple who travel to Tokyo to visit their family, but are shunned from family member to family member, as neither of their sons or their daughter have the time or inclination to entertain them. It is a poor vacation, and they return home. It is a narrative which seems questionable in its length, but is executed with such barebones precision that its final 45 minute crescendo is so personal, so heartbreaking, delivering stronger than expected emotional impact.